Panel track blinds offer a simple and stylish solution for patio doors, sliding glass doors or large windows. They are also known as sliding window panels or panel tracks. Panel blinds cover a large window using fewer panels than the commonly used vertical blinds, and also contribute to a clean and uniform appearance. These large fabric panels are formed vertically and slide to a side to open or close positions. Panel blinds are mounted to the ceiling or the wall, depending on your home decor concept or needs. The adjustment of light control for panel blinds are dependent on the opacity of the fabrics and the openness percentage. 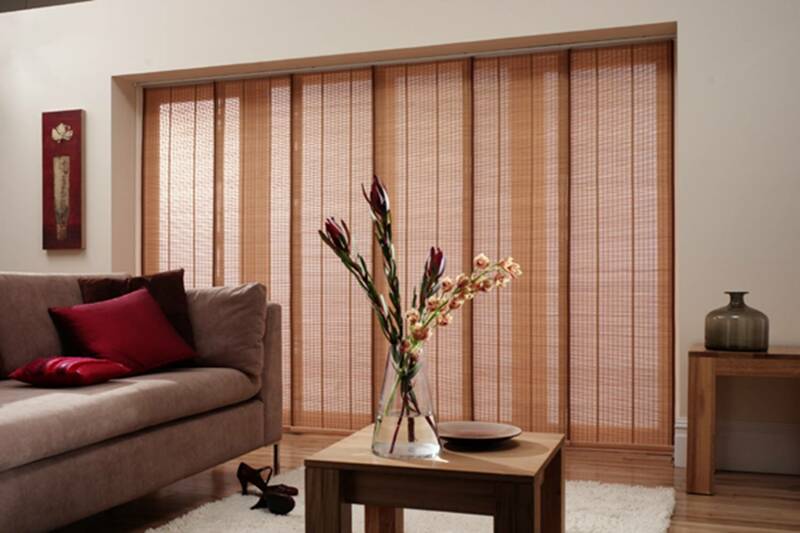 Panel Blinds are available in both sheer fabric or thick fabrics. Available in many fabric patterns, styles, and colors. Choice of right, left, or split stack to suit your needs and preferences. Choose Leading Singapore Curtain & Blinds supplier, The Curtain Boutique, for your home soft furnishing needs.